On the docks, I found a rubber patch of thickly applied adhesive, dried brittle after exposure to the elements. The brush marks had left bubbles, now petrified and discolored with time. 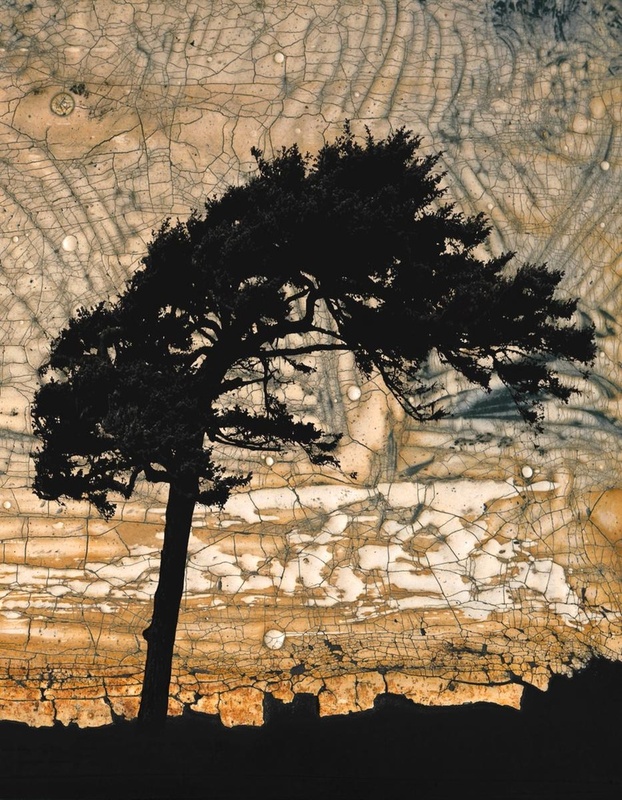 I was excited about the texture, but it was lacking composition, so I overlay a windswept tree photographed in California, using the texture to create a sky-like background. Photo montage, macro lens.